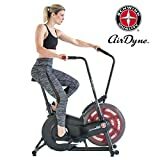 Some modern exercise bikes use the power of air or wind resistance to improve an athlete’s workout. The incorporation of this resistance means that the faster the user pedals, the harder it becomes to move. This extra resistance builds muscle and allows people to move at the pace which is the best for them. 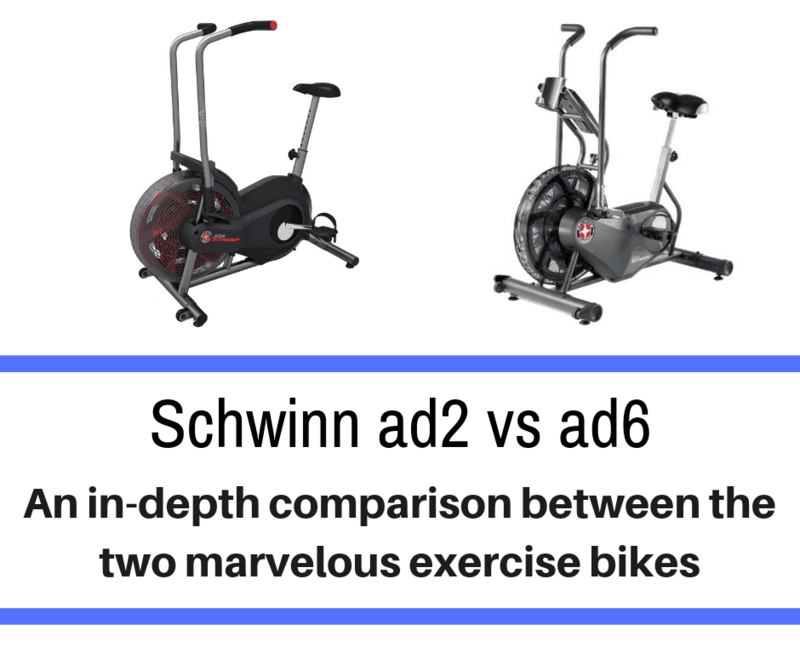 Today we compare two very popular units: Schwinn ad2 vs ad6. Below is a quick chart detailing the differences. Further evaluation and explanation can be found throughout the article. 46.3 x 15 x 25.2 in. Exercise bikes are popular ways to stay in shape while working indoors. They tend to be less expensive than treadmills or traditional running machines and can assist people facing common health issues. Most bikes tend to be upright or recumbent. An upright exercise bike allows the user to sit like they would on any regular bicycle. These are great for people who want to have a typical bike-riding experience but indoors. Recumbent bikes allow the user to lean back and not put pressure on their hands and wrists. 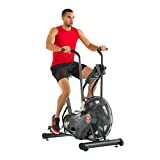 Most modern exercise bikes which use wind resistance are regular upright exercise bikes to provide room for the necessary equipment. The Schwinn ad2 and ad6 are some of the most popular models but don’t always look like bikes at first glance. The handlebars aren’t connected and the place where a front tire should be includes a giant fan to generate resistance. However, these Schwinns still count as exercise bikes and include all of the benefits. Bicycling in general, and with increased wind resistance, is popular because it helps people exercise without exacerbating joint problems. A lot of athletes and regular people experience issues with sore ankles, knees, and hips. Arthritis is also a common problem, especially with people who are over the age of 40 or overweight. An exercise bike allows for a powerful workout without causing excess pressure on injured joints or sore muscles. ​Dr. Weil points out how biking can improve a person’s stability and muscle tone, decreasing the risk of future injuries. Even adding the extra pressure of wind resistance won’t be as harmful to the body as other forms of exercise like running, which puts force, pressure, and weight on crucial body parts like the ankles. However, athletes can still practice some basic rules to ensure they maintain healthy and avoid future issues. First, the user of any Schwinn Airdyne bike or other exercise equipment should pace themselves appropriately. Many people end up injuring themselves by suddenly increasing the speed and intensity of their workout, which can lead to torn ligaments, sore joints, and future problems. Second, bikers need to adjust the seat so it suit’s their dimensions. Many health problems are compounded by small things like an inconvenient seating situation or handlebars which are too low. When purchasing any bike, the buyer should make sure they can fit comfortable on the equipment. Third, don’t overdo the resistance. 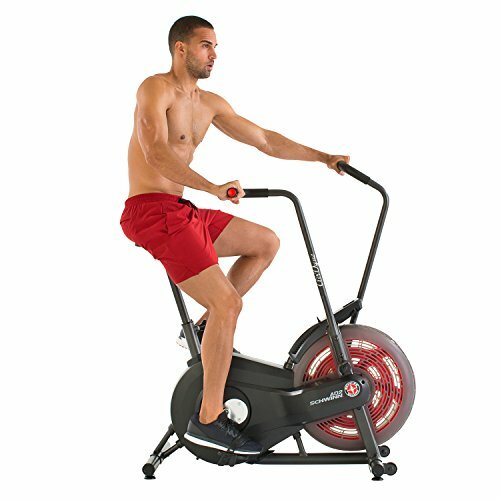 This is tempting for people who really want to increase the intensity of their workout, but it’s actually more damaging to pedal slowly with high resistance than it is to pedal quickly on a low setting. 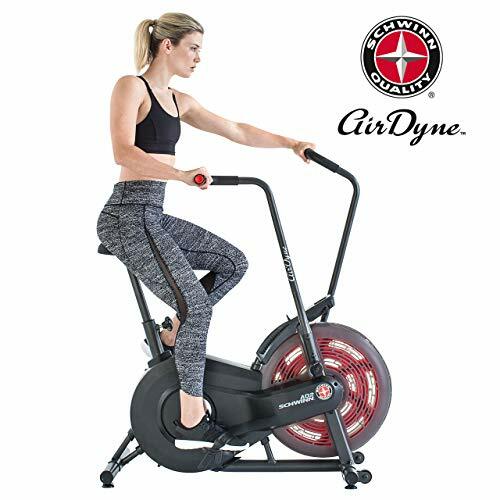 The air resistance of the Schwinn Airdyne bikes might be infinite, but that doesn’t mean athletes should injure themselves trying to up the ante during their regularly scheduled exercise. The Schwinn ad6 is a newer model of the company’s wind resistance bikes. Like many other models, the resistance is supposed to go up to an infinite amount. This model has more leg room than many of the other varieties and has a wider, flat seat to provide more comfort for the user. The bike features a natural pedaling motion and a fan which provides a constant breeze for the rider. There is a computer display which shows lots of important information such as the time of the workout, distance travelled, calories burned, overall speed and revolutions per minute (RPM), and pulse. Two double AA batteries are required to run the display but not the bike itself. The machine works for people who weigh up to 300 lbs. People with heights between 5 ft. and 6 ft. will fit best on the bike, but other people can adjust the handlebars to suit them as well. Users can put their feet up on convenient pegs to track their upper body workout as well as their lower body one. The full machine weighs 116 lbs. and has dimensions of 46.3 x 15 x 25.2 in. 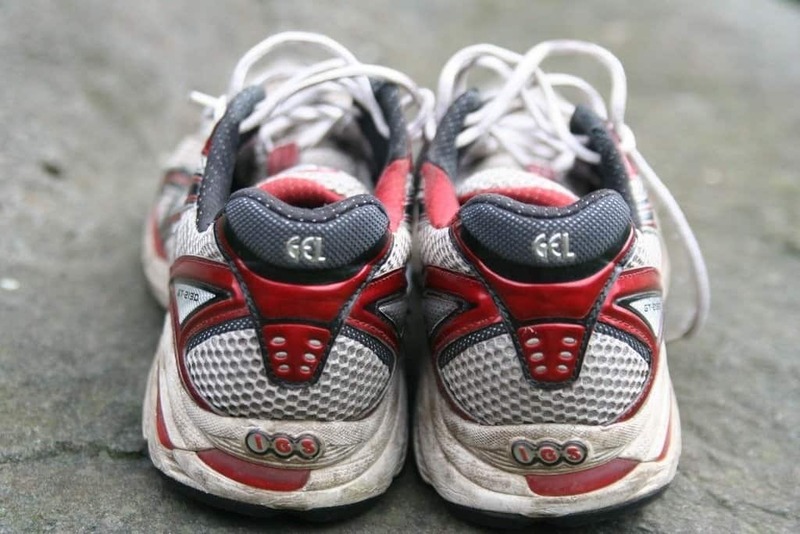 There are straps on the foot pedals to improve balance and keep pressure off of a person’s ankles and joints. Similar to the 230 and 270 versions, this one comes with a water bottle holder. The term Schwinn ad2 refers to a Schwinn ad2 Airdyne bike. This style has a front fan with a back covered wheel or belt which allows a natural pedaling motion. The handlebars are adjustable so people can change their position and figure out what works for them. People can increase the amount of resistance given by the bike supposedly to infinity, so as much as the user wants. The bike comes with a computer which displays important information like speed, resistance level, calories burned, RPM, the distance moved, and the time the rider has spent on the bike. The attached fan additionally provides a constant cooling breeze so users don’t overheat. Some other important specs are that the seat is padded and can hold an individual who weighs up to 250 lbs. Two double AA batteries are needed to power the computer and resistance technology. The full machine weighs about 97 lbs. and has dimensions of 50 x 46 x 25 in. The bike fits most people between 5 ft. and 6 ft. in height and doesn’t need to be plugged in. People who only want an upper body workout can place their feet on convenient pegs so that only their arm and shoulder progress is tracked. So, how do these two machines compare to one another? This handy chart sums up the similarities and differences easily. This comparison of schwinn ad6 vs ad2 details some of the unique differences. Aside from these basic features, the ad6 has a wider, more comfortable seat and a higher sitting area to potentially lower tension. It also has straps on the pedals, which the ad2 lacks. However, the ad2 is significantly cheaper and can help people maintain an upright position, potentially avoiding back issues while exercising. ​So, which bike s better? The ad6 is a bit more comfortable than the ad2 and has more optional features, but costs a lot more than the ad2. But it can hold more weight. In general, the ad6 appears to be a better deal, but people seeking a more economical option can still enjoy the ad2 without sacrificing the quality of their workout.